The bar was high for Martello Technologies going into 2018. The fast-growing Ottawa firm set lofty expectations late last year with the declaration that it would be the first local tech company in years to go public. In the past year, Martello acquired multiple companies, more than doubled its headcount, added key executives and raised millions in financing en route to achieving its public listing; suffice to say, the firm rose to its own challenge. Martello, which helps companies manage and troubleshoot communication services amid increasing bandwidth demands, set the stage for its transformational 2018 with a change at the top last December, bringing in John Proctor as CEO to replace Bruce Linton – who was a little busy in another exploding industry. Reflecting on his first year in the driver’s seat during a recent interview with Techopia, Proctor was quick to credit Linton and the rest of the Martello team, who he says set the firm up for its 2018 success. Blackberry and L-Spark, Canada’s largest software-as-a-service accelerator, have officially announced the seven finalists for the first cohort of the new accelerator program set to help small to medium-sized technology businesses. 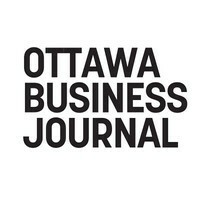 The new accelerator hopes to help these tech startups develop and bring new products to market using Blackberry’s QNX technology. They will have access to senior leaders at Blackberry as well as L-Spark. Blackberry stated that it will help each finalist research, and develop product prototypes in areas a wide range of areas including robotics, device security, analytics, medical devices and autonomous vehicles.